The James & Deborah Klein Family Foundation was established in 2017 due to the dissolution of the Lloyd E. & Elisabeth H. Klein Family Foundation. The Lloyd E. and Elisabeth H. Klein Family Foundation was established in 1983 in Orange County, California. The founders, Lloyd and Elisabeth Klein, envisioned a foundation that would give to organizations that support Christianity, youth, and their families, with the goal of providing safe, healthy, supportive environments that prepare children to succeed in life. A strong nurturing family and high quality education are the keys to opportunity and personal fulfillment. The history of Lloyd and Elisabeth Klein is truly one of realization of the American dream. Both came from humble beginnings. Lloyd was born on a farm in Nebraska to a family of 10 children. From age seven on he worked with his father and brothers, harvesting crops, tending livestock, and plowing fields from sunrise to sundown. Lis was born in Hawthorne, California to a family of Dutch immigrants. She had three brothers. Her father was an artisan in woodworking and his work still exists in the area. Although talented, his work did not provide great financial reward so the family had only the necessities. 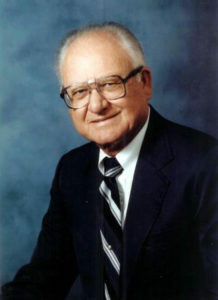 Lloyd served in World War II in the Army Air Corps and moved to California after his service, where he met Lis and eventually married in 1947. Their union lasted 58 years and only ended with Lloyd’s passing in 2005. Together they had four children; Kenneth, James, Cathy, and Christine. Lloyd and Elisabeth came to Anaheim in 1952 and started a contracting business, becoming one of the foremost builders of homes and commercial buildings in Southern California. Lis was a homemaker, but with many interests. 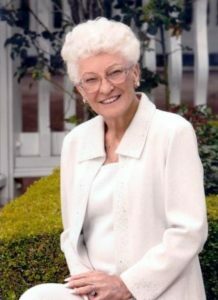 She was a life member of Assistance League of Anaheim. She served as President of the Anaheim Parent Teachers Association and as an Anaheim High School Band Mom, often hosting the entire band at her spacious backyard of her home. She also was an accomplished artist, studying to improve her talents throughout her life. She was a founder of the Anaheim Art Association and together with Lloyd a founder of the Orange County Performing Arts Center. In April 2006 , Elisabeth passed away. Lloyd and Lis always appreciated the good fortune they enjoyed and wanted to provide an opportunity for others less fortunate.